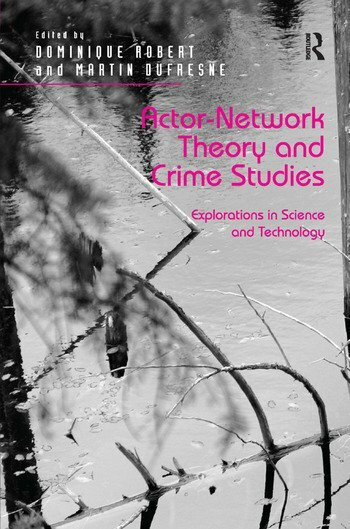 Developed by Bruno Latour and his collaborators, actor-network theory (ANT) offers crimes studies a worthy intellectual challenge. It requires us to take the performativity turn, consider the role of objects in our analysis and conceptualize all actants (human and non-human) as relational beings. Thus power is not the property of one party, but rather it is an effect of the relationships among actants. This innovative collection provides a series of empirical and theoretical contributions that shows: ¢ The importance of conceptualizing and analyzing technologies as crucial actants in crime and crime control. ¢ The many facets of ANT: its various uses, its theoretical blending with other approaches, its methodological implications for the field. ¢ The fruitfulness of ANT for studying technologies and crime studies: its potential and limitations for understanding the world and revamping crime studies research goals. Students, academics and policy-makers will benefit from reading this collection in order to explore criminology-related topics in a different way. Dominique Robert is Associate Professor in the Department of Criminology at the University of Ottawa in Canada. Martin Dufresne is Associate Professor in the Department of Criminology at the University of Ottawa in Canada.